The apocalyptic saga, which includes Left Behind and Tribulation Force, continues in the exciting third volume of this best-selling series. In Nicolae, as the dramatic fulfillment of Biblical prophecy is unleashed upon an astonished world, World War III begins. Although the small band of believers called Tribulation Force have been scattered by the outbreak of the war, they draw strength from their faith in Christ. Still working for Nicolae Carpathia, the evil world leader, Rayford Steele helps the believers by passing on information about Nicolae's devastating plans. But spiritual forces have an even greater use for Steele in their battle against the Antichrist. 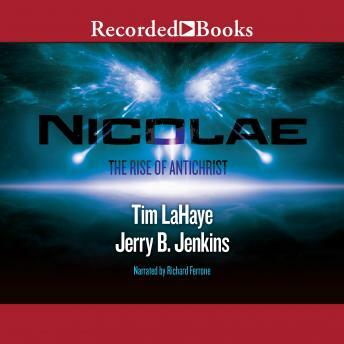 The works of inspirational authors LaHaye and Jenkins have thrilled millions of readers worldwide, and Nicolae creates more breathtaking visions of what many believe will really happen. Through narrator Richard Ferrone's performance, the conflict builds to a fiery climax that will leave you eager for Soul Harvest, the next book in the series. In this day and time we need to be aware that we are in towards the end times. This book takes from scripture and has made a compelling story.